There’s always some type of construction happening throughout Los Angeles County. It’s a very industrial area, to say the least. With so many freeways that need updating, buildings that need finishing and housing that needs to be built, it’s safe to say that there’s almost always some type of construction machinery, equipment or vehicle that needs transporting to or from a job. Sometimes help is even needed on-site with lifting heavy machinery or construction equipment. That’s where Pepe’s Towing comes in to help. Our heavy-duty fleet of rotators, heavy wreckers and Landolls are available 24/7 to help with machine lifts and equipment towing throughout Los Angeles County. 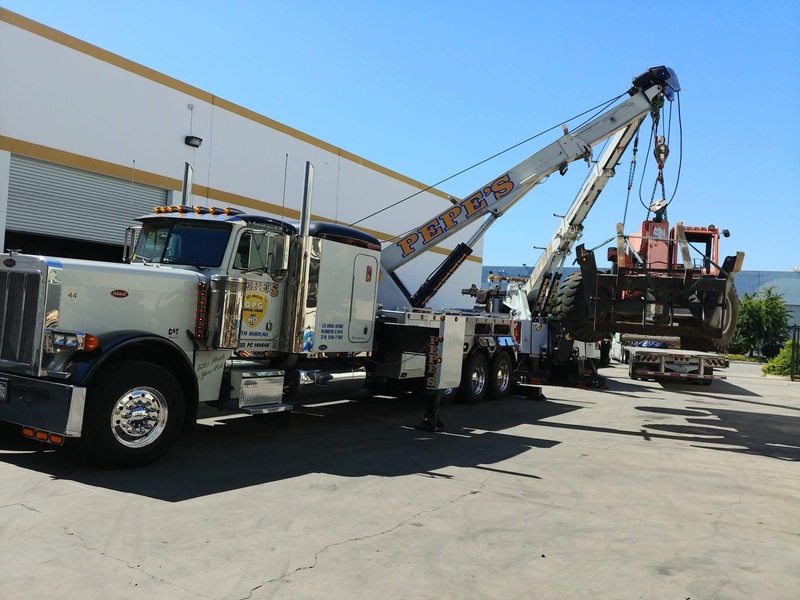 Throughout our last 40 years in business, we’ve seen it all when it all when it comes to heavy-duty machine lifts and equipment towing in Los Angeles. Whether you need assistance with transporting machinery to a construction site, experience an accident on-site that requires a roll-over or winch out, or simply need help loading or unloading construction equipment our team of experienced tow truck drivers can help. 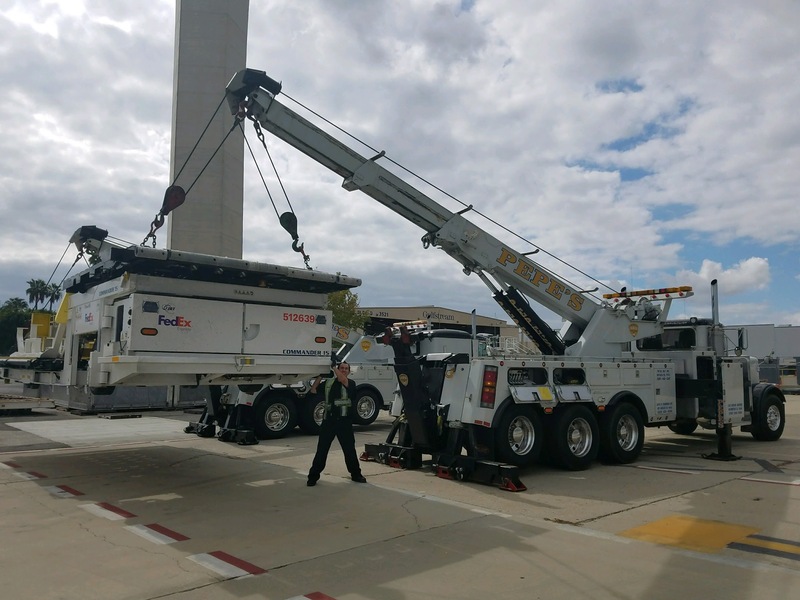 We’re honored to have commercial accounts that trust us with any and all of their machine lifts, equipment transportation and most importantly towing services. This includes companies such as Associated Ready Mixed Concrete, Crown Lift and Cemex to name a few. If you are a construction-based company that is looking to add an experienced towing service to your roster, we’d be honored to join your team. Give us a call at 323-268-1609 or e-mail josh@pepestowla.com to discuss contract options.